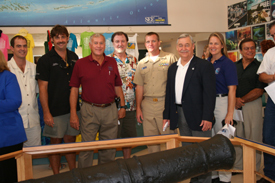 In 1994, Denis Trelewicz and Chuck Hayes, volunteers for the Florida Keys National Marine Sanctuary, found this cannon, along with similar guns and related artifacts, in the waters off Key Largo, FL. They mapped and photographed the site, apparently untouched for over 250 years. Trelewicz searched historical records to find out how the cannons came to be there. 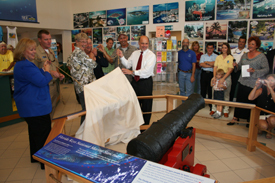 After his research indicated that the site had historical significance, the sanctuary recovered one cannon for futher study. 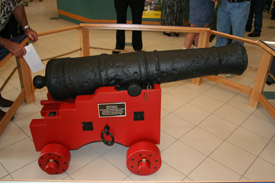 Without conservation treatments, the cannon would corrode after being exposed to the air. 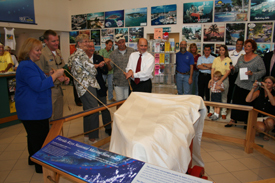 Over the next two years, the gun was cleaned and conserved by Mel Fisher's Motivation, Inc. laboratory in Key West, FL. 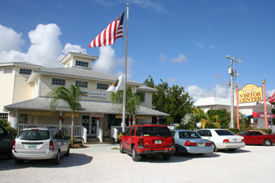 See it at the Key Largo Welcome Center!